A moment of silence for our dear departed. Cool. Good enough for me. Let us continue with our service. 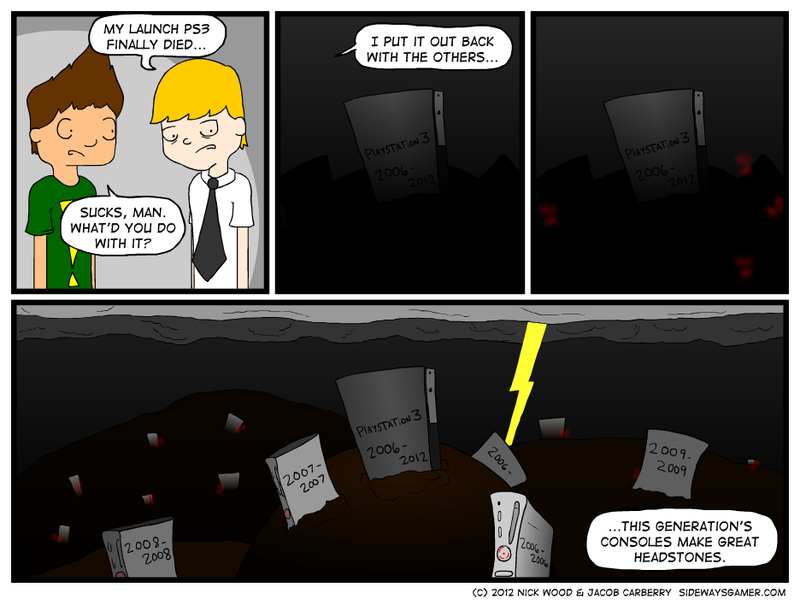 Jacob’s PS3, or as its friends called it, a PS3, was a true and loyal friend. It would never turns its back on someone in need. Except for that one time, it did back in aught ’10. Remember that? It turned its back so hard they had to give out free games!